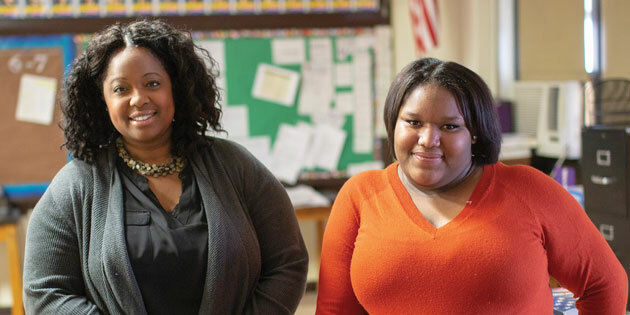 Siatta Davis, left, program coordinator for the Hill Family Center for College Access at Rutgers–Camden, is helping Desinee Davis, a senior at Camden High School, with her college plans. Desinee will be the first in her family to attend college. The Hill Center began with a $200,000 gift from George and Washington Hill, Class of 1961 alumni. Since opening in 2011—the 50th anniversary of their graduation—it has assisted more than 1,500 high school students, including 500 in the past year. The identical twin brothers saw the center as an opportunity to give back to the university and the community that helped shape them. “We were serious about mentoring students, but also mentoring the community,” Washington said. 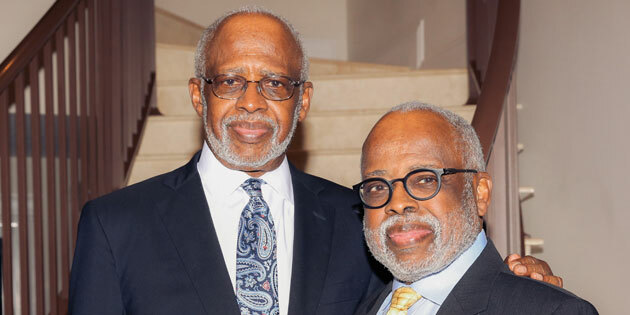 George Hill, a microbiologist pictured at left, and his twin Washington, an obstetrician and perinatologist, both graduated from Rutgers–Camden in 1961. The brothers were born in Moorestown in 1939, and moved to Camden with their parents and younger sister, Mary Esther, when they began junior high school. Their father, William, was a clerk at the 30th Street Station post office in Philadelphia and their mother, Ruth Esther, did domestic work in nearby Cherry Hill. “We got our work ethic from them,” Washington said. 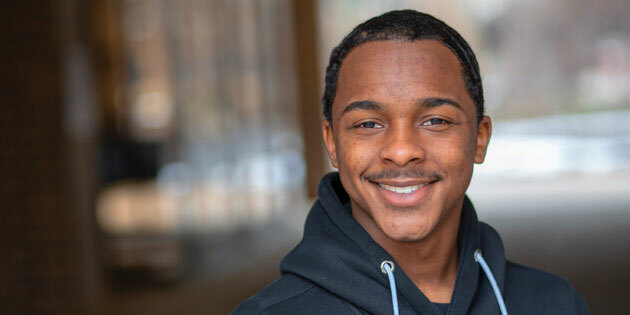 George started out on the path to become a history teacher, but after taking an interest in parasitology during a biology class as a sophomore, decided to switch his major. He also was very involved in student government. Washington, who had always been interested in medicine, majored in chemistry and joined a fraternity. The brothers both went on to exceptional and accomplished careers, collecting long lists of accolades along the way. Washington earned his medical degree from Temple University, where he developed a fascination with the labor and delivery process. For nearly 50 years, he has been a practicing obstetrician and perinatologist, and only recently stepped down from performing surgeries. Among many other positions, Washington has served as the president and chief of the medical staff at Sarasota Memorial Hospital in Florida, where he helped found a high-risk pregnancy center. He still works as a senior physician for the Florida Department of Health to ensure high-risk pregnant women have access to care. While he admits that he doesn’t always agree with his brother about everything, Washington said they do see eye-to-eye about this. “It’s a great way to give back to students who can find a place where they’ll feel comfortable learning,” Washington said. George agreed. “When you’re able to provide support and see the impact it has on the lives of students, that’s what investment is all about. 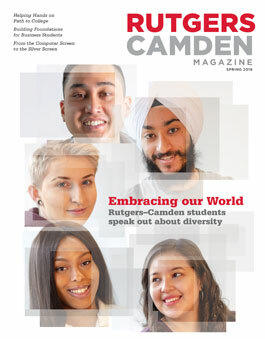 The Hill Center, part of the Rutgers–Camden Office of Civic Engagement, is a key partner of the Camden College Access Network (CCAN), a collaborative effort of colleges, K–12 schools, nonprofits, and corporations in Camden. The collaborative effort hopes to raise the number of Camden residents with college degrees. Estimates are that about 10 percent of residents have post-secondary degrees; the goal is to increase that to 50 percent by 2023. Karim Council, who was born and raised in Camden, enrolled at Rutgers–Camden with the help of the Hill Center. A first-year student majoring in psychology, he wants to work as a therapist for children and young adults.